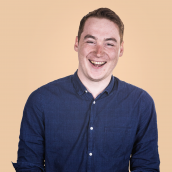 On Twitter, the reactions rage from socks having the swooshes cut off to videos of trainers being burnt in fire pits, wood stoves and kettledrum barbeques. #JustBurnIt is trending (among others). Was it worth it? Nike would tell you yes, for a number of reasons. They have a long history of controversial advertisements – having previously devised campaigns with scandal ridden figures like Maria Sharapova and Tiger Woods (they also once made Andre Agassi compete at the US Open in jean shorts) – and may even genuinely believe in the protest Colin Kaepernick has led over the past two years. But most of all, they are just playing by the new rules of the game: in the eyes of some consumers, brands must be political. In fairness, these are new rules, and the exact definitions are still being ironed out. But a significant shift in political identify has occurred in the US over the past couple of decades and has intensified since the 2016 election. As we have been describing for several years now, citizens have moved away from the centre ground and now take up positions (on a range of issues) on either the left or the right of politics. 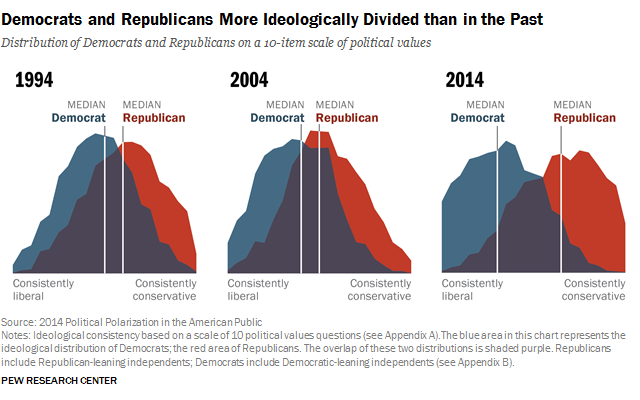 In the US, this means that fewer people identify as moderate and consequently, there is less overlap between Republicans and Democrats. Nike are playing into this polarisation – balancing the ire of conservatives with the respect of their core audience – younger, urban consumers. The president himself has of course waded into the debate and by doing so will only further entrench the opinions both sides already have of the Nike-Kaepernick deal. The biggest indicator of partisan divide on many issues – including this one – is party support. Trump’s intervention will see his supporters burn more of their own clothing, and spur Democrats to buy more Nike. A similar landscape has emerged in the UK, where brands like Paperchase and Pizza Hut – neither of which has a history, as Nike does, of actively courting controversy – have backed themselves into difficult corners after promotional link ups with newspapers the Daily Mail and The Sun respectively. The neutral middle ground in which brands – and politics – could once operate is disappearing, forcing businesses to either tread incredibly carefully or pick a side. Brands themselves welcomed and led the move towards ‘meaning’ over the past few decades, and for some consumers it is important to see their values reflected by the brands they buy. Politics is part of what ‘meaning’ means now – but it is inherently alienating. What is supported or even cherished by one group will disgust another. 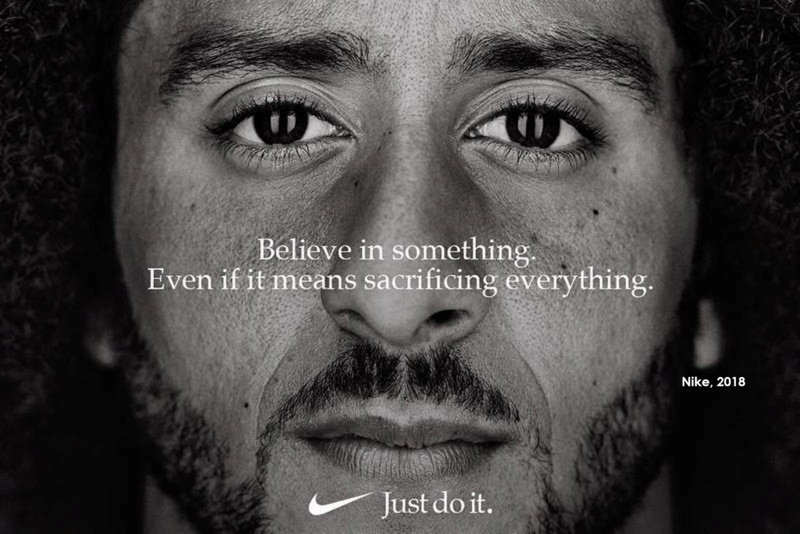 Nike’s campaign is aware of how divisive it is, but they realise – as other brands are too – that they have to make a choice one way or the other.